If you haven't yet stumbled across my Blogging Resources List page, please check it out now! Instead of periodically posting useful links for my fellow bloggers, I've decided to keep a single updated list. Awesome, right? Recently, I've been lucky enough to get ViralTag and I'm ready to ramp up my Pinterest marketing strategy. I want to reach more people, gain more followers, and bring more people to the blog. However, I had no clue how to do that. I'm using these awesome and informative links to get me started. What's your Pinterest marketing strategy? What's your favorite type of pins to discover via Pinterest? If you're not already, I'd love for you to check out my Pinterest account and my Blogging & Business board.. I'm posting in the times recommended but in my own time zone. The way I took it is, those times are the best times per your time zone...so at least that gives me a starting point. Then I'll probably drop a few random pins elsewhere to see if they attract any attention. Social media marketing is a lot of trial and error I think and depends on who's reading your content and their preferences. Interaction is so key on social media.. thanks for the tips! Pinterest is my top referrer and I didn't even have a good strategy for using it! I'm still working out the kinks now. Thanks for sharing this, I really need to bump my pinterest following, too. So I will be working on these, too. Me too! Was glad to have tracked these down! Great tips! Thank you for sharing this. Pinned! Visiting from Wine'd Down Wednesday. There's a couple of those I would really like to read. I appreciate these. Thanks! Such AWESOME Tips I Must Do This ASAP!! 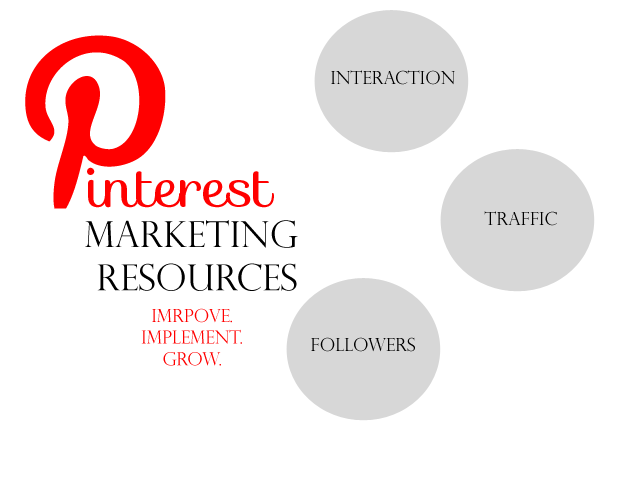 I rarely use pinterest but I am aware of how strong it can generate traffic and promotions. I need to bump up my pinterest followers. I have to look into that viraltag. I pinned this to my BLOG board on pinterest to go over those articles later. I love Pinterest and definitely need to use it more towards my advantage! I get a lot of traffic from there but would love to get some pins to go viral- this is great! I love pinterest and will definitely check out the links that you provided. Thank you for sharing. I don't think I have ever thought as a business. I use Pinterest mostly as my personal board - to clip my favourite things for reference. So, I don't really look into the best or worse times to pin. On pinterest you're advised to only pin about 20% your own content, so I just schedule all the wild and awesome stuff I find so it's not clogging my followers feeds all at once. I just started using pinterest. I am still pretty lost with it. What great information! The times to pin make a lot of sense! I´ve been putting my blog posts to my one and only board on Pinterest. I still don´t know how to use it intentionally. Thanks for the lead. I always use pinterest, it is the best thing since peanut butter and jelly! I have a board with all of my blog posts then a billion others that I keep current. It has brought me alot of readers that's for sure. Thanks for this! Awesome, great resources. I need to get more savvy on Pinterest, I see a lot of traffic coming form it. Fantastic tips for keeping the Pinterest at the forefront of marketing efforts. A blogging board, eh? I've got one of those too! My pinterest boards are so unorganized. I need to do a lot of work, but have been putting it off. Thanks for the great resources. I just reorganized mine. Hopefully, they're much better now. This sounds like the way to go. Thanks for sharing. Thank you! These are great tips! And now off to visit the links, lol! I like pinterest but I never really maximized its use. I think this is a great idea. Oh definitely! I pin lots of food on pinterest. I have found tons of recipes there! Thanks for the tips! We love Pinterest but need to learn how to get the most out of it. Thanks for sharing with Creative Spark Link Party. Thanks Amanda! Thanks for sharing on Worthwhile Wednesdays!